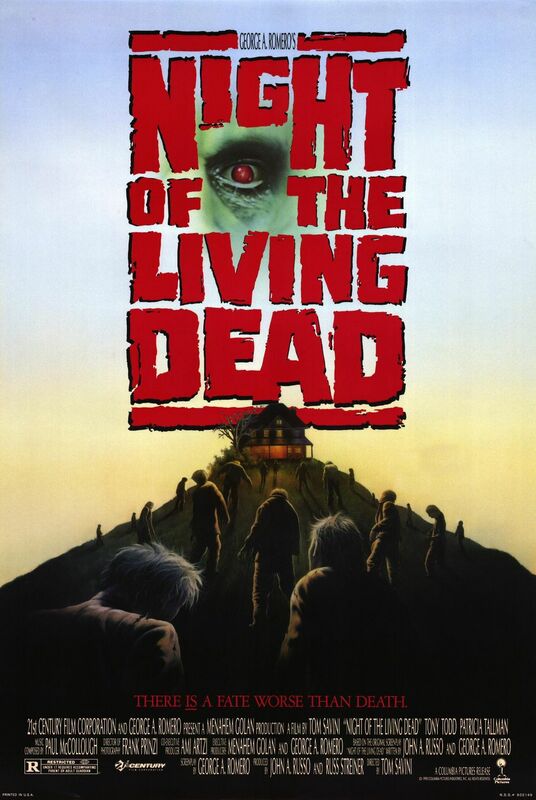 A remake of the 1968 classic, Night Of The Living Dead follows six unlucky individuals stuck in a small, secluded country home in the US during a countrywide zombie uprising. Together, they strive to survive the night, despite their differing opinions. However, things don’t quite carry on as nicely as they’d like. Straight off the bat, I feel the need to mention that Night Of The Living Dead hasn’t aged a bit. While I haven’t actually seen the 60’s original, the film has a grainy, eerie quality to it whilst still managing to look beautiful. For once, the retro feel really seems just right. Set design and locations in the piece are minimal, but if anything this just adds more depth to the horror conveyed on screen. Taking place almost solely in a small country home, the film feels incredibly resourceful, and every nook and cranny is saved until absolutely necessary Whilst the environment can become dull at times, the methods used to keep everything fresh are novel. The very few uses of exterior shots are some of the more horrifying moments on screen, giving us every reason to want to return to the house, much like our eclectic cast of characters. This is all done despite the feeling of claustrophobia becoming very real later on in proceedings, giving the house a real character of it’s own. Sound here is done nicely, using what sounds like the original score peppered throughout some scenes. However, a large chunk of the film remains silent, with only speech to cut the tension hanging throughout. The zombies’ moans are haunting, and the scratchy sound effects used in some of the quieter scenes really help toward the nightmarish quality the film strives for. In terms of cast, this time around every performance is pretty solid. There were no moments when I could tell something was phoned in, yet I didn’t really notice anything standing out either. Aside from our two leads Ben (Tony Todd) and Barbara (Patricia Tallman), who put in fantastic performances. It just gave the feeling that the other characters we see on the screen are incidental, just lambs to the slaughter. While it’s true that’s all anybody really is in most zombie outings, in this case it felt especially true. As this is a remake of a true classic, it would be wrong to describe the plot as tired. However, even if it wasn’t a remake, the film stands up well to most other Z-Dramas of recent years. Whilst the formula’s nothing we haven’t seen before, it just works. In this case, it’s helped along by it’s liberal use of the menace in question. Zombies here are pustulent, grotesque and in some places genuinely frightening. Whilst some carry an all out gory look, the rest seem almost distressingly normal. It really adds to the authenticity of the whole ‘back from the dead’ thing, as I’m sure not every single person who died in The Walking Dead had some kind of axe lodged in their face when it happened. Along with this, the film begins at a remarkably breakneck pace. While it does settle down in the second act, we’re treated to our first zombie within 10 minutes of the opening credits. It’s refreshing to see a short, to the point horror film that just wants to get you in to the intense action straight away. Couple this with an incredibly strong ending, tying up any loose ends, and you have a great zombie flick that stands up on it’s own, with no nostalgia for the original necessary. I would recommend Night Of The Living Dead to just about anybody looking for a nice change of pace from more recent zombie outings. 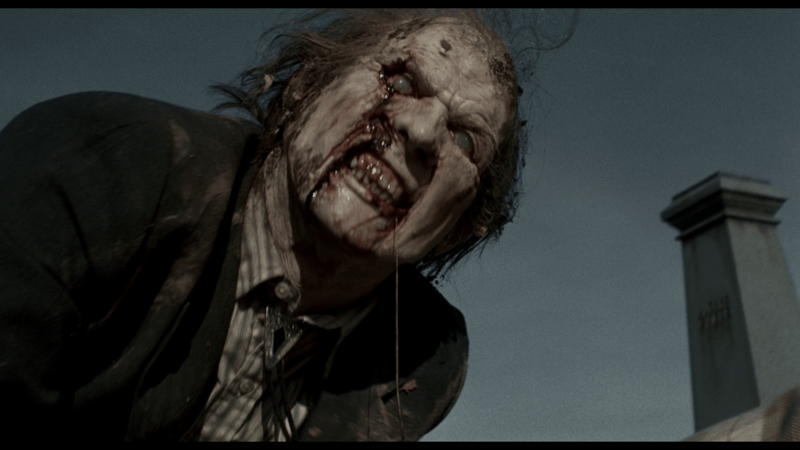 Slow zombies, a carefully crafted 90 minute compilation of unflinching gore and genuine horror that’s held back only by a relatively dull cast and some slow moments. Posted in TV & Film, UncategorizedBookmark the permalink.